Even the hardiest of Mardi Gras partiers need to take a break and grab a bite before, during or after the Carnival festivities. Uptown, Downtown, French Quarter or Frenchmen Street, you&apos;re going to find a restaurant nearby that satisfies. Here are a few of our favorite spots, along with the krewes (social clubs) that parade down these neighborhoods&apos; streets. Please note, some restaurants operate with special hours during Mardi Gras. Please call to check for holiday hours of operation! French Quarter parade Joan of Arc gets Mardi Gras started on January 6. Gear up for that and other parades with a beignet and café au lait at Cafe Beignet or Cafe Du Monde. For something a little heartier, Jimmy J&apos;s Café will do you right. All are located within a block of popular parade routes. Lucky Dogs, Inc.&apos;s signature hot dog-shaped carts are found throughout the Quarter, and for an all-American burger, stop by Jackson Brewery Bistro Bar. Central Grocery&apos;s muffulettas and Johnny&apos;s Po-Boys&apos; signature po-boy sandwiches are world-famous - get them to go or for dining in. 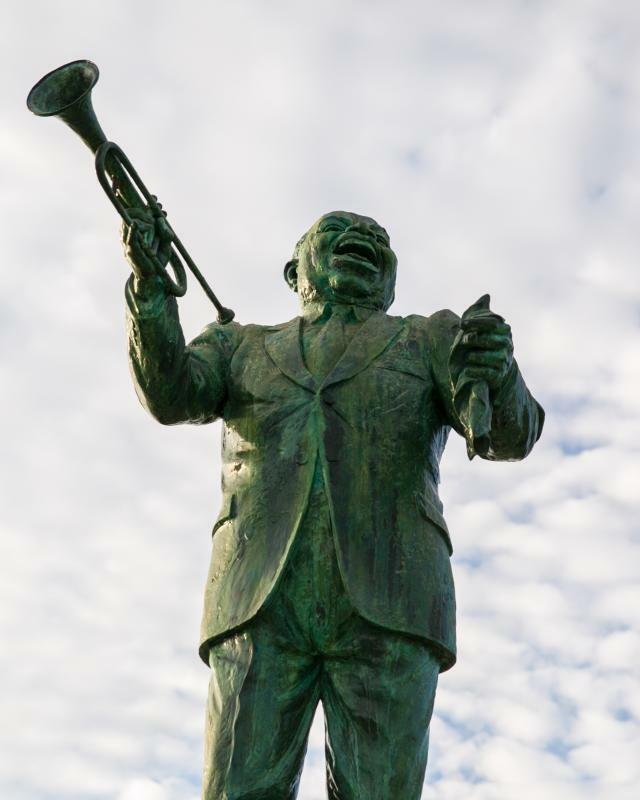 Mid-City and Tremé comprise the geographic and cultural heart of New Orleans. The "super krewe" of Endymion parades from City Park to the Mercedes-Benz Superdome on Saturday, February 25, 2017. The Krewe of Zulu puts on one of Mardi Gras&apos; premier parades, rolling down Orleans Avenue early on Fat Tuesday morning, February 28, 2017. Mid-City&apos;s cultural mix is reflected in its cuisine. For meat lovers, Toups&apos; Meatery serves up goat, quail and lamb alongside more traditional beef and pork dishes, and Crescent City Steaks is a more traditional old-line New Orleans steakhouse. Enjoy the bistro-style atmosphere at Cafe Degas and Rue 127 (both located in renovated shotgun houses). Ralph&apos;s On the Park offers gorgeous views of City Park. Mardi Gras&apos; main parade route goes down St. Charles Avenue, through Downtown and along Canal Street next to the French Quarter. Lucky for you, these are also some of the best neighborhoods for dining the Big Easy. Avenue Cafe and Lucy&apos;s Retired Surfers Bar & Restaurant are good bets for sandwiches in the Warehouse District/Garden District neighborhoods. Other casual joints include Slice Pizzeria, Superior Seafood & Oyster Bar, New Orleans Hamburger & Seafood Company and Charcoal&apos;s Gourmet Burger Bar. Joey K&apos;s Restaurant is a hidden Creole gem of the Garden District on Magazine Street, and on the occasional warm weather days during Mardi Gras season, you may find the patio outside Uptown taqueria Del Fuego packed with diners getting their comfort food fix. The French Quarter&apos;s hip, historical neighbor is where you&apos;ll find krewes such as the sci-fi themed Chewbacchus and raucous Krewe du Vieux. In a neighborhood famous for its Frenchmen Street music strip, you&apos;re sure to find good music and food within steps of your favorite parade. Dat Dog serves up such delicacies as crawfish hot dogs on Frenchmen, where you&apos;ll find balcony dining overlooking the revelry. Across the street are Three Muses and The Praline Connection, and nearby is The Ruby Slipper Cafe, whose shrimp-and-grits are a locals&apos; favorite. French-influenced Feelings Cafe is perfect for an intimate pre-parade dinner, and St. Roch Market is where you&apos;ll find a wide selection of local vendors selling everything from Creole to Korean dishes. Discover more about Mardi Gras and find parade schedules.